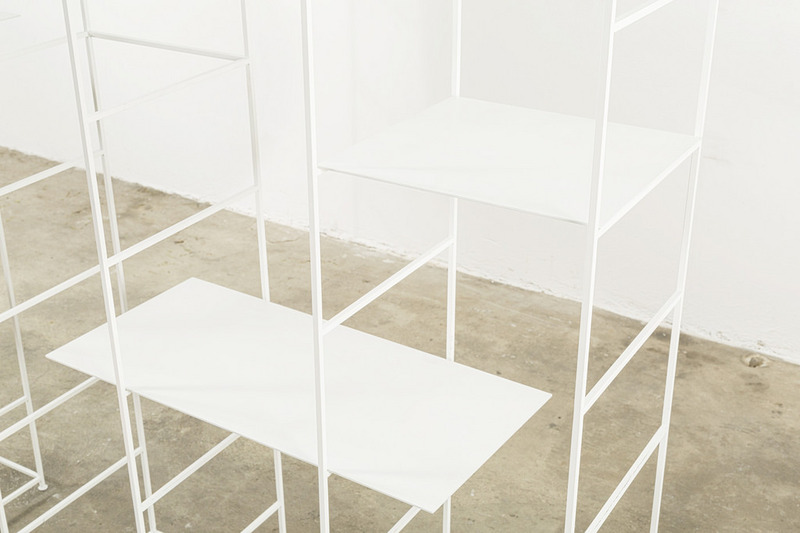 A geometric and thin module repetition creates a space and volume succession. 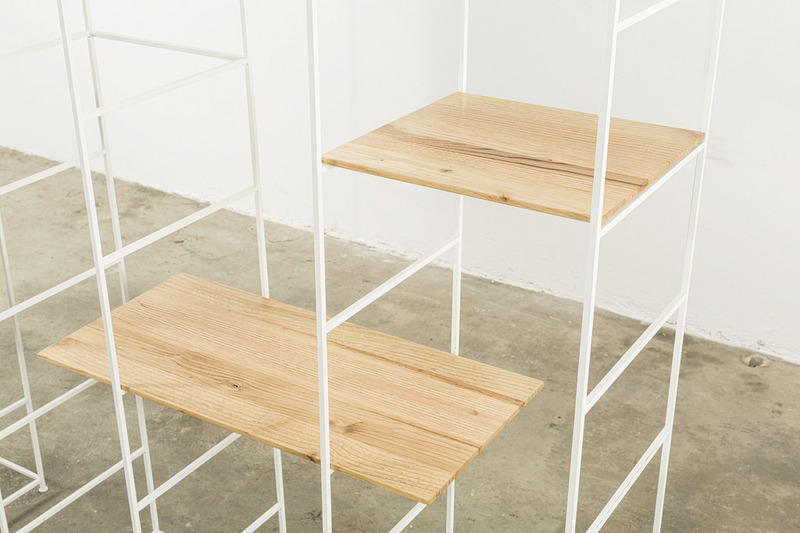 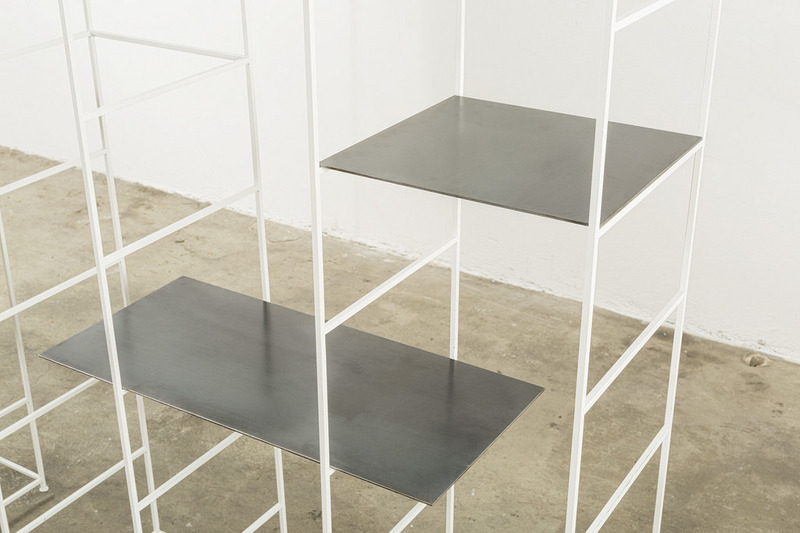 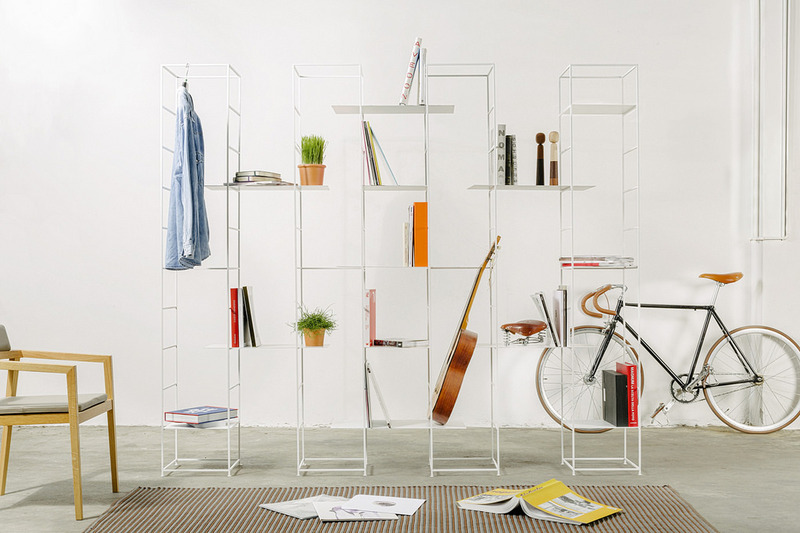 The product lightness is emphasized by the alternation of shelves which seem to hang in a precarious balance. 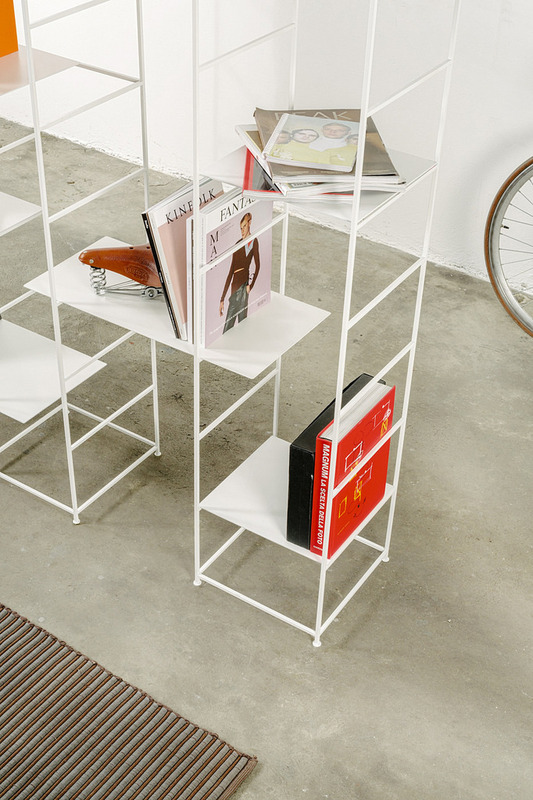 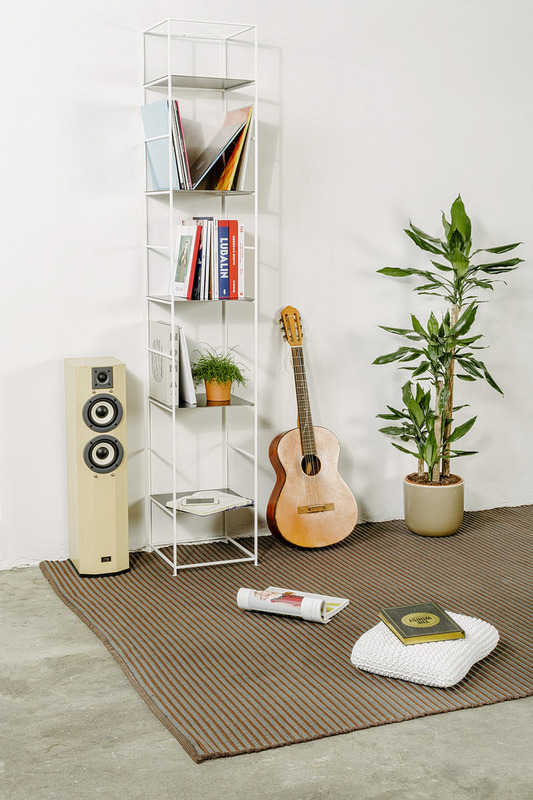 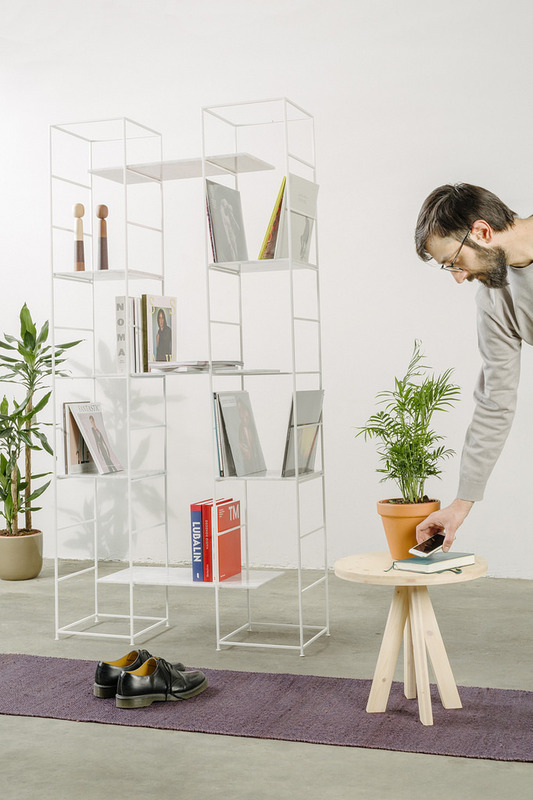 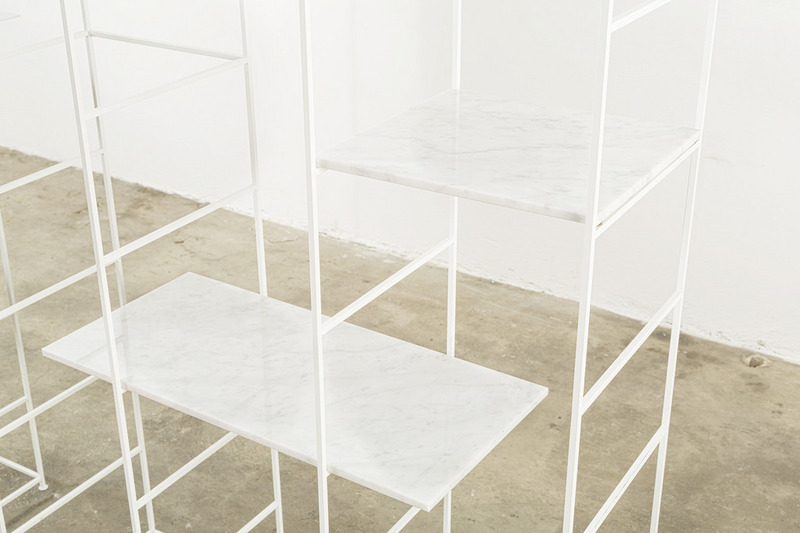 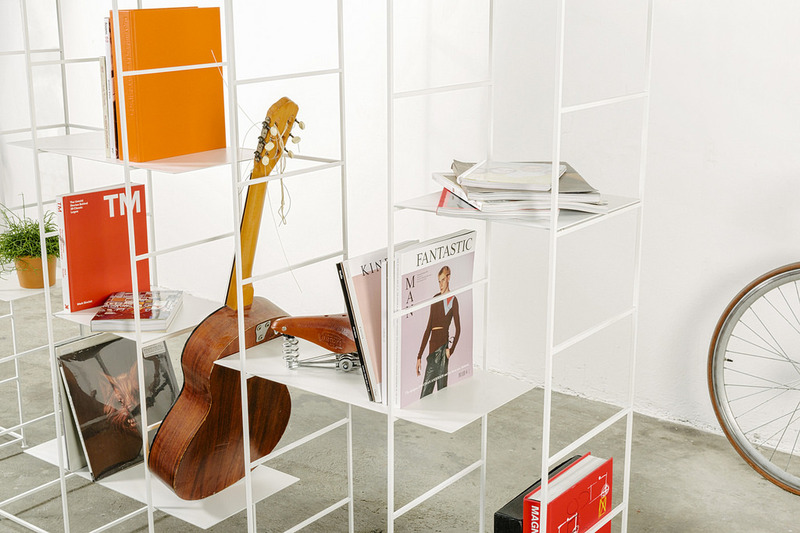 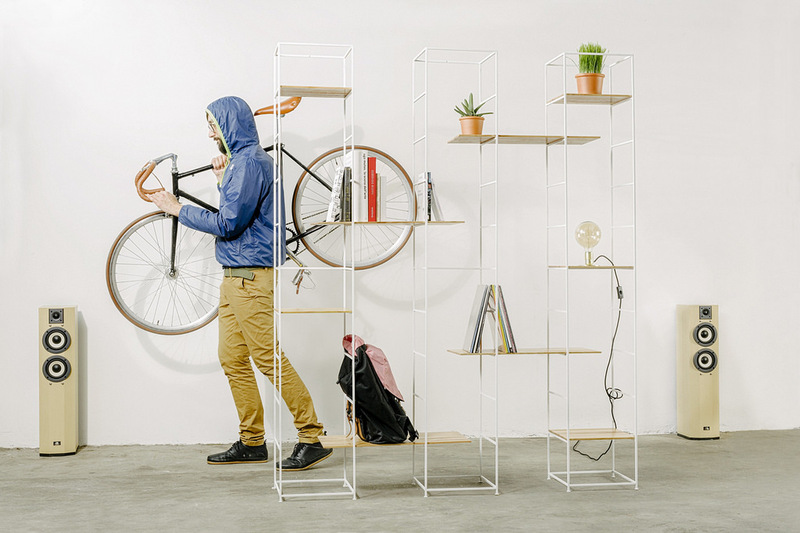 A dynamic bookcase which can be adapted to all domestic space.